Research on gender and sexuality is a particular strength of our research unit and plays a key role in the work of The Centre for Inequality, Culture and Difference, the unit’s research centre. 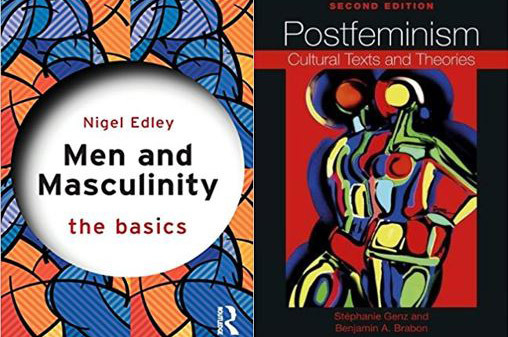 Within the broader topic of gender and sexuality, important foci are gender theory, queer theory and politics, feminism and postfeminism, masculinities, gender and migration, transnational sexualities, and neoliberalism and gender. If the unit’s work converges on a broadly social constructionist approach to gender and sexuality and a consistent attention to asymmetries of power, and hidden and more visible oppressions, a range of different methods are applied and different social groups, practices and cultural forms are brought under scrutiny. Approaches are drawn from critical journalism studies, communication studies, critical discourse analysis, corpus linguistics, discursive psychology, film theory and aesthetics, and visual theory as appropriate. Specific topics investigated include: sexist abuse within on-line journalism; the empowerment of migrant women through new social media; the constructions of gender and sexuality in women’s magazines and on the radio; liberal sexism in post-recessionary culture, especially in popular television; men and shifting understandings of masculinity in relation to work, the body, fatherhood, sexuality and violence. In line with the unit and Centre’s determination to resist any narrowly western-centred engagement with objects of study, the group is committed to analyse and promote the understanding of cross-cultural variation in constructions of gender. GENZ, S., 2016. Baring the recession: sexual sensationalism and gender (a)politics in popular television. In: H. DAVIES and C. O'CALLAGHAN, eds., Gender and austerity in popular culture. London: I.B. Tauris.